Some states have expressed concern over how the $100million to fight malaria will be adequately utilized for the treatment of the disease, with some openly raising fears that the fund might be diverted to other areas. With a 2013 target to rid the country of malaria, the response from various states is that they are not able to access funds to implement the project, while others complain that the fund are diverted for other uses as the leadership does not see malaria as a priority. These concerns were made known yesterday at a review workshop organized by the ministry of health under the national roll back malaria initiatives in collaboration with some development partners is Abuja. States like Bauchi and Anambra joined by some of their colleagues complained that the programme was not given priority, as the funds are diverted to other areas, and in some situations alienated from the programme. 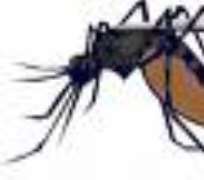 Speaking to news men on these challenges, the Imo State malaria manager Omeni Nkwocha said for the project to be swiftly implemented, the fund should be sent directly to the ministry of health, rather than the government houses where according to him are allocated for other uses.